The IRG research projects are augmented by seed projects in materials research. At present there are five seed projects in the CCMR funded through a combination of NSF and Cornell University resources. Towards the development of tough and resilient soft materials, bio-inspiration can guide materials design. This seed will focus on translating the structure and properties of native cartilage tissue to optimized artificial materials that can be 3D-printed. One of the biggest challenges in developing materials that can be used for cartilage replacement and for cartilage tissue scaffolds is optimizing the material properties to compare to native cartilage tissue; a critical task, as the implanted specimens must withstand substantial dynamically varying loads. The artificial tissue is required to be elastic, tough and resilient. Zwitterionic hydrogels and ionic hydrogel composites, have natural similarities to native cartilage which has been demonstrated to be a double network (covalent-ionic) hydrogel, and are tough while they can also self-heal, proving to be primary candidates for this study. Using cutting edge projection stereolithography 3D printing technologies, along with bio-inspired design principles and multiscale predictive modeling the end goal of this project is two-fold: (I) elucidate the underlying chemistry and physics contributing to the properties of natural cartilage, and (II) to design and optimize the properties of bioprinted artificial cartilage made from zwitterionic hydrogels and ionic hydrogel composites. Phase transformations are prevalent and play a profound role in the energy density and rate capability in energy storage and other functional materials. Challenges in imaging nucleation and growth of structural phases in-situ and at the nanoscale limit our understanding of how these materials function. 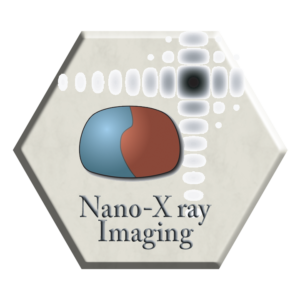 This seed seeks to develop in-situ x-ray imaging of structural phase transformations in nanoparticles of complex oxides used for energy storage. Understanding of phase transformations operando as a function of the spatial confinement, defects density, and grain boundaries will open avenues for the rational design of materials functionality. Through the deepened understanding and control of phase transformations at the nanoscale, the research effort promises to have an impact on chemistry, physics, nanoengineering, and materials science. Our project uses nanoscale building blocks to create mesostructured materials using a novel programmable assembly process. To bring these opportunities to fruition, the objectives of this seed project are: (1) to fabricate quantum dot membranes with precisely defined pore size and crystal faceting and (2) to explore facet-specific electrocatalysis and ion-selective electrodialysis that affords exquisitely precise control of these processes. Our approach involves examining electrodialysis through and electrocatalysis within the confined-but-connected reaction volumes. This endeavor will integrate material synthesis, structural analysis, electrochemical measurements and molecular dynamics simulations. This project will uncover insights into the fundamental physics and chemistry of quantum dot membranes, which will form the foundation needed to create multifunctional devices with significant potential to improve electrocatalytic performance of technologically and environmentally relevant reactions. This Seed seeks to leverage the quantum coherence of a single spin as a sensitive probe of antiferromagnetic and noncollinear spin textures in magnetic materials at room temperature. This class of materials is promising scientifically – realizing rich new phenomena at the forefront of magnetism, and it is promising technologically – potentially leading to ultra-high density storage devices that can be manipulated with electrical current. The challenge, however, is that antiferromagnetic and noncollinear spin-based materials are difficult to study because they have a small (or zero) net magnetic moment and because the spin orientations vary over nanometer scales. To solve this challenge, this Seed project will apply scanning-probe magnetic microscopy based on a single nitrogen-vacancy (NV) center in diamond. NV centers are atom-scale defects with a highly coherent spin that can be measured optically. The quantum evolution of the NV center’s spin provides sensitivity to the small magnetic fields that are present only nanometers from the sample surface, enabling nanoscale imaging of the spin textures in these materials. Using this imaging capability, this Seed will ultimately enable new materials discovery leading to new device function. Position-space imaging of electronic quantum matter is now possible at a microscopic scale through the development of scanning probes, but its interpretation is highly non-trivial due to the volume of the data. This iSuperSeed seeks to harness the scanning probe driven data revolution using artificial neural network based machine learning tools. Our goal is to build on the recent developments in using machine learning to recognize simulated synthetic data of electronic quantum matter and develop new modalities of data analysis that can test different hypotheses and reveal underlying principles hidden in complex and voluminous scanning probe data. To this end, we will first establish a supervised learning based hypothesis test and then bring in generative modeling elements to go beyond supervised learning approaches.